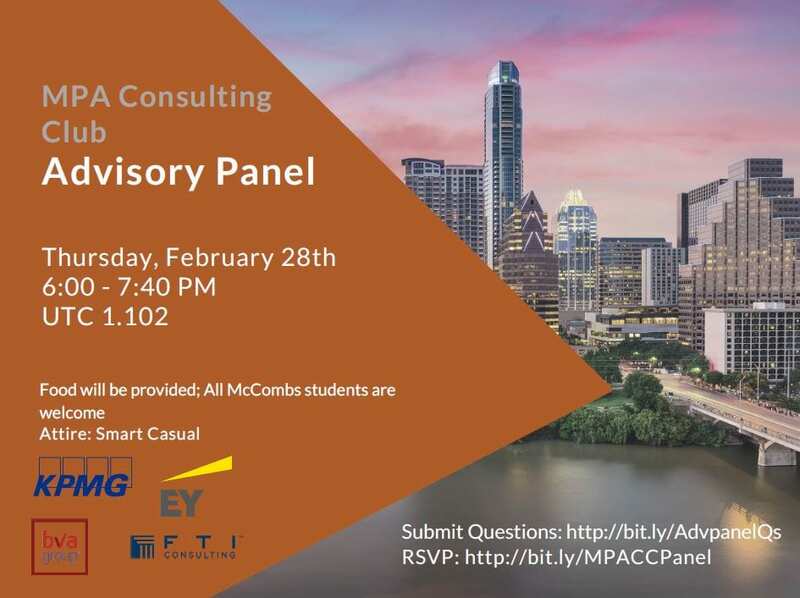 The MPA Consulting Club is hosting an Advisory Panel on February 28th. This is a great opportunity to get exposure to advisory opportunities with the Big 4 and beyond! 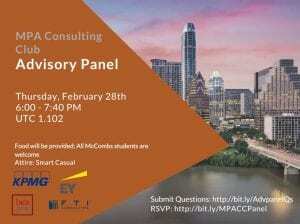 Come join the MPA Consulting Club as we host a panel with advisory professionals from four different companies. Please RSVP and submit your questions in the links above. Dinner will be provided.